Sure I love a smoothie as much as the next gal but I’m sorry but a glass of pureed fruit just doesn’t cut it for me breakfast-wise. I require a breakkins with a bit more in the way of whole grains, protein and healthy fats. 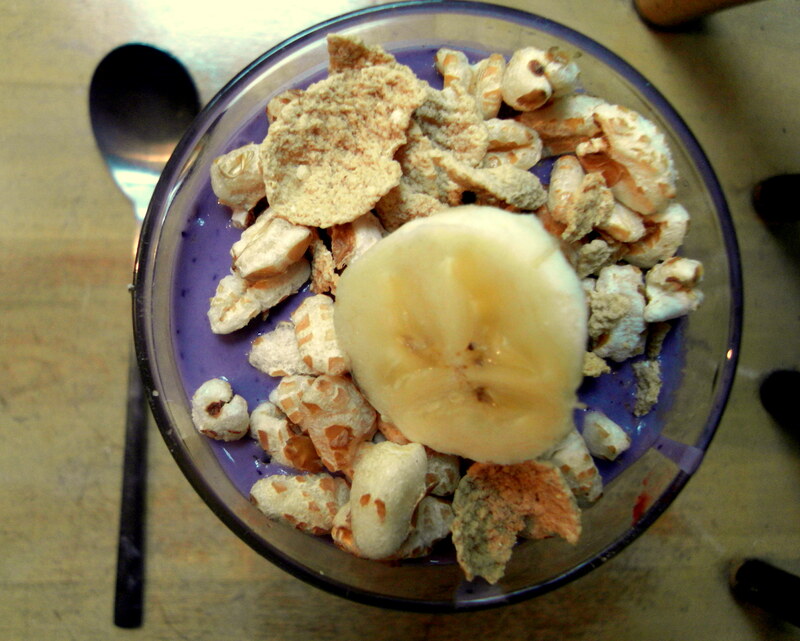 THUS the breakfast smoothie parfait was born. Make your favourite fruit smoothie but add in some protein powder and then layer in a tall glass with whole grain cereal. Whoof that was a tricky one to explain. I am almost out of almond butter (sad!) 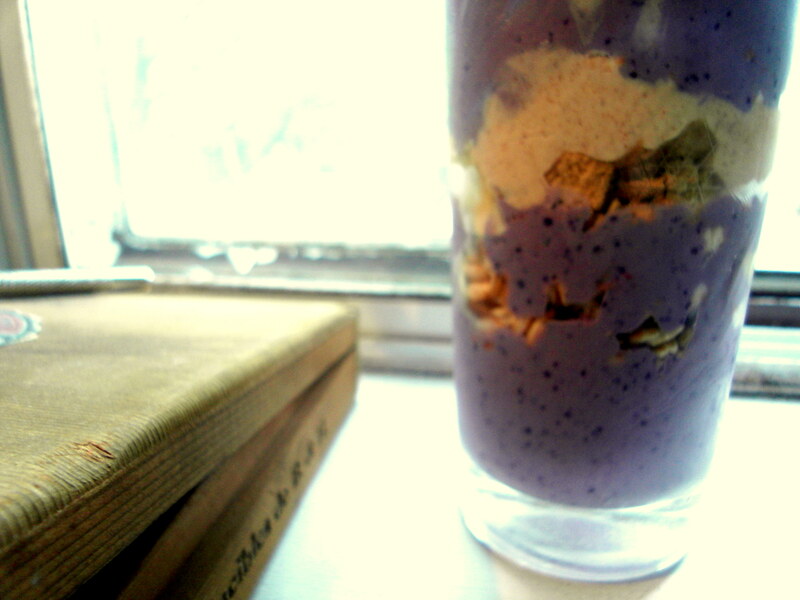 so this was my trick to make those last few tablespoons “spread” throughout the week. Ahem…Sorry about that. Inspired by Heather’s Almond Butter Sauce. Blend (a hand blender works great but any should do) for a few minutes until fluffy and smooth. Although I must say I had a good chuckle at your recent use of the phrase “downing bowls of stevia whipped air.” Nothing like a little reality check to keep you humble and laughing at yourself for eating bowls upon bowls of almond milk/silken tofu pudding. 😉 That Summer’s one lucky gal to have such a self-reflective role model like you around!